Looking for a short term rental property? The last few student houses are now being taken up for the 2014/15 academic year. The standard contracts for student accommodation is usually July to June but occasionally there is a need for shorter term lets. Perhaps you’re on a placement for a few months in a different town or city? With this in mind, Mistoria Estate Agents have a number of properties that are available right now for let until the summer. Professionals and even families might also find themselves in need of short term accommodation. Project managers might be working away, on site for a few months and need a room in a houseshare. If they have brought their family with them, then an entire property will be needed. If you are a family, new to area and looking to buy but need to rent in the short term, we can help with that too. Whatever the reason you need short term rental property, we’re sure we can find the right place for you. We understand how stressful moving to a new area can be. By making provisions for, and welcoming, those specifically looking for short term leases you can rest assured you’ll be looked after at Mistoria Estate Agents. We have properties available for students, professionals and families, whether it be one room or a whole house. All we ask for is a minimum stay of three months. Don’t be put off by the preconceived idea of short term renting. Gone are days of shoddy bedsits, or at least where Mistoria are concerned. 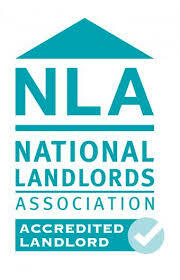 All our properties are kept to a high standard. They have all be renovated or refurbished using quality materials and furnishing in the last five years and many more recently. There’s also the benefit of having utility bills included (except council tax) in the rent for complete ease. If you are looking for a short term let at an affordable price, have a look at our available properties in the website or call us on 0800 500 3015.